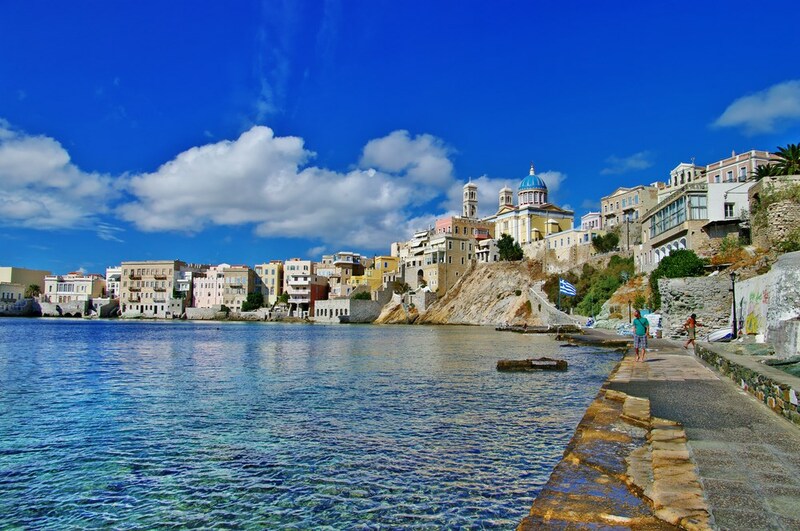 Ermoypoli is the beautiful capital of Syros, located on the eastern side of the island. Usually it is called “outdoor museum” as it has a wealth of attractions that admire the visitor by a walk in its alleys. 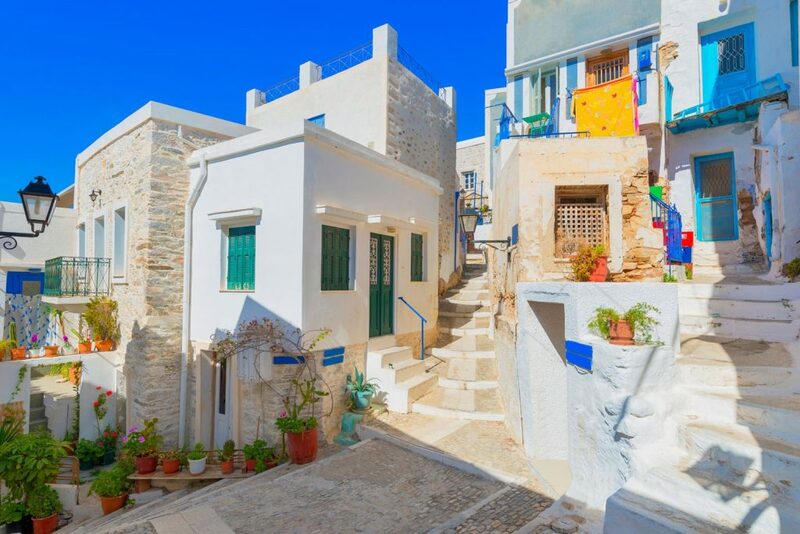 It has not the typical Cycladic form, but its buildings belong to the classical romance, with references to ancient Greece and Western Europe. 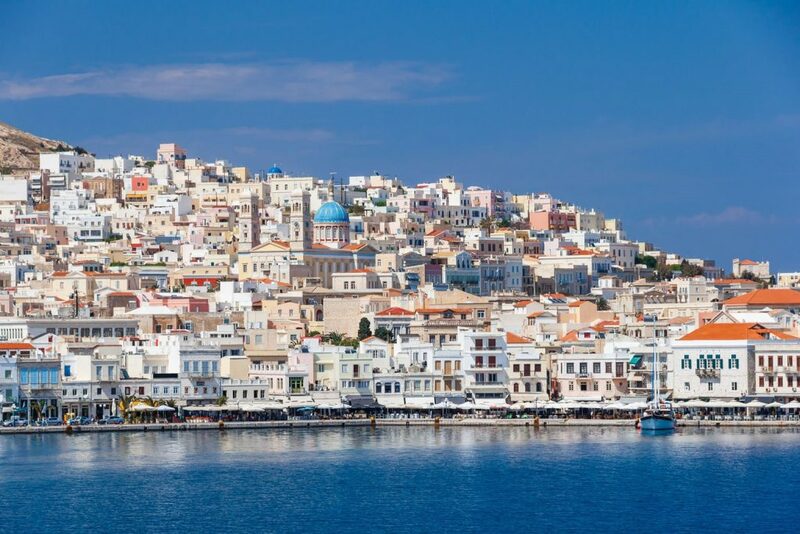 It is the main port of the island, with daily ferry connections with Piraeus, Rafina, the rest of Cyclades, and the North Aegean islands. 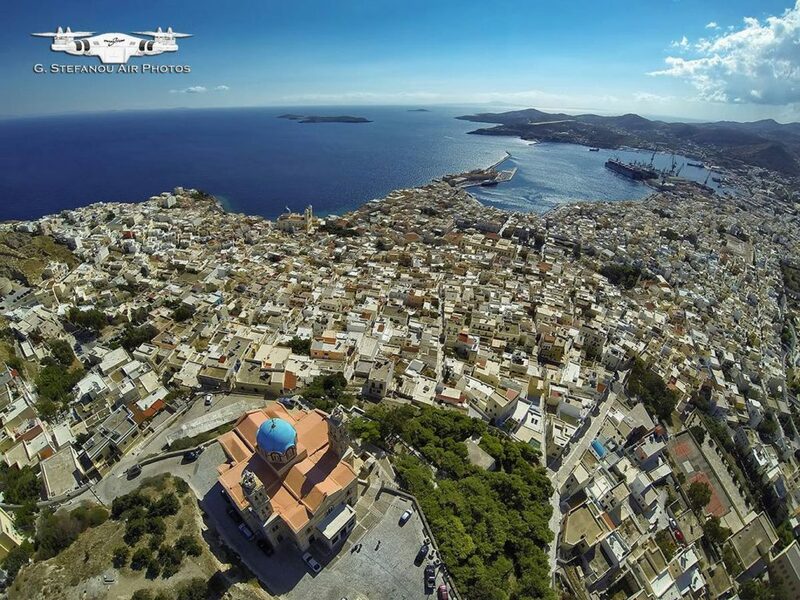 Syros Airport is located three kilometers and is also connected daily with Athens. 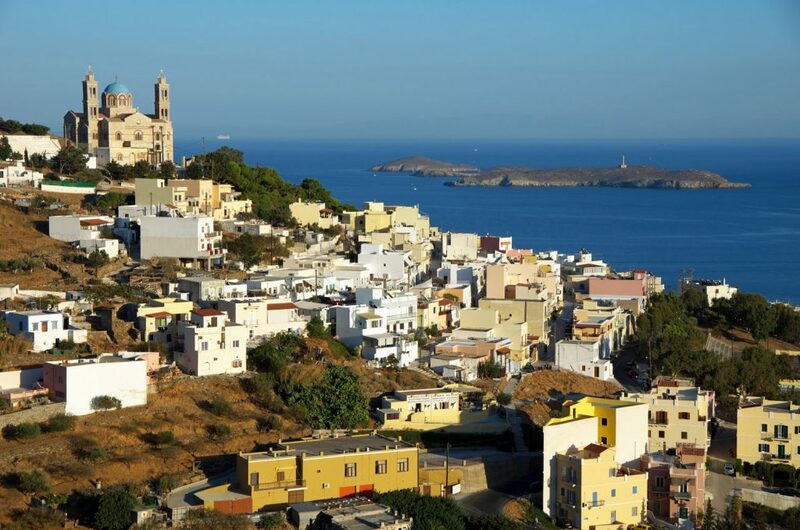 Today, Ermoypoli has excellent tourist facilities for visitors that will find there everything is required for the holiday: accommodation, restaurants, cafes, bars and nightlife, and all tourist services. 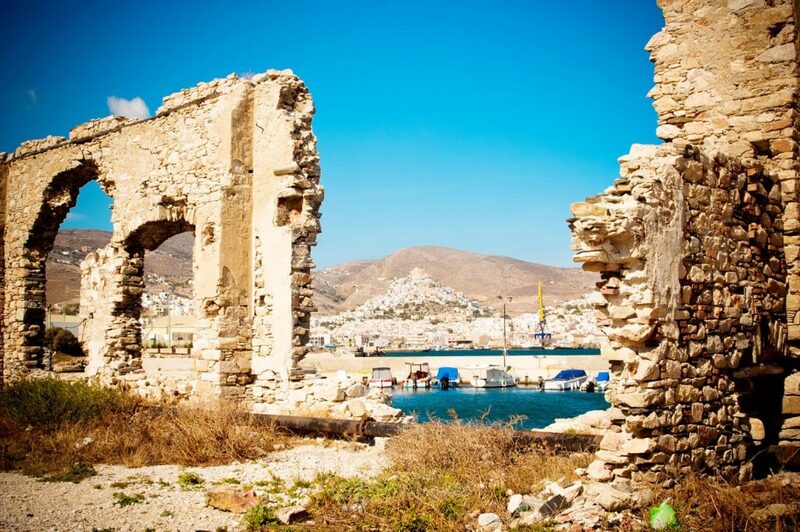 The neoclassical buildings of Ermoypoli are the monuments that make it special. 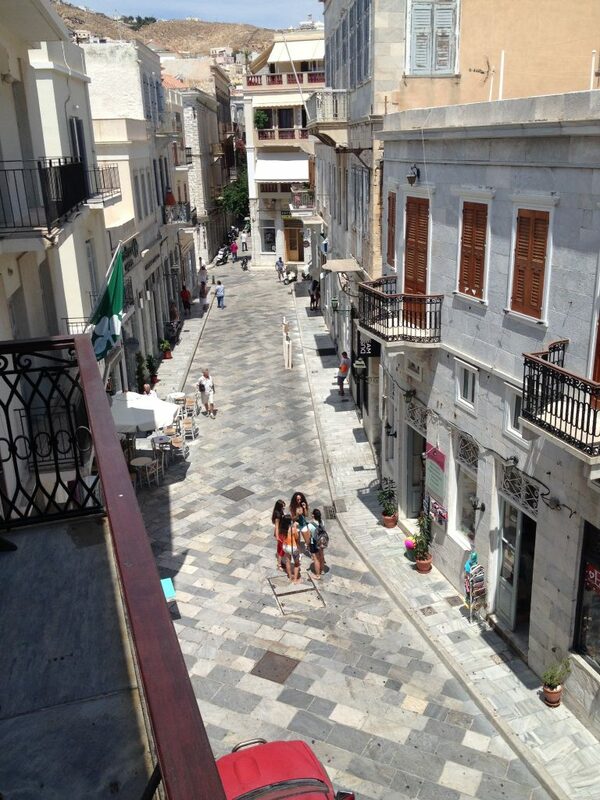 The center is Miaoulis Square, where is the City Hall, designed by Ernst Ziller, inspired by the palaces of Troy. 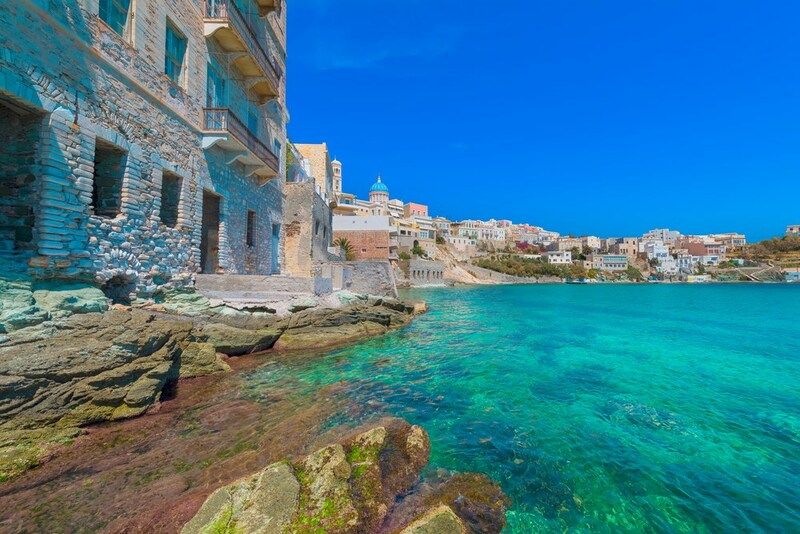 The theater “Apollon“, miniature of Scala in Milan, the mansions in the upscale Vaporia, the Archaeological Museum of Syros, Syros Industrial Museum, Library and many others, that must be visited. 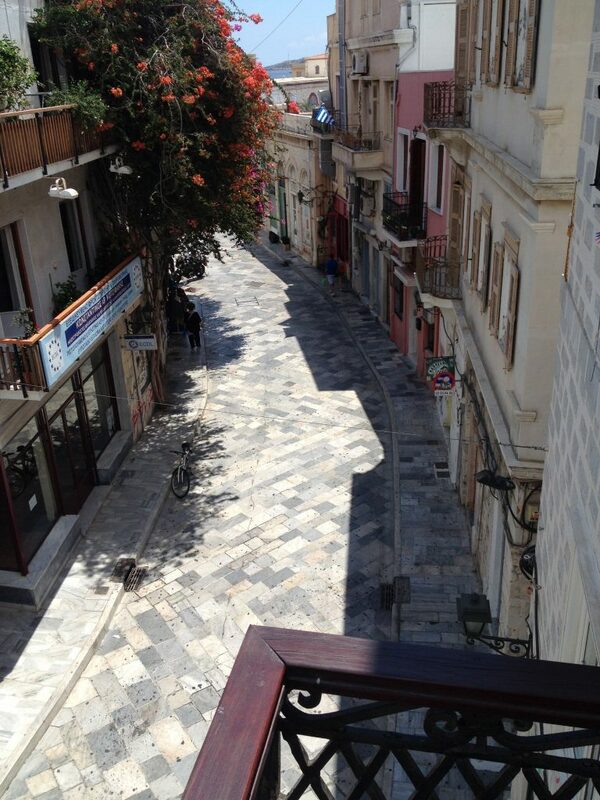 A separate position on the sightseeing of Ermoypolis has the churches, Orthodox and Catholic. 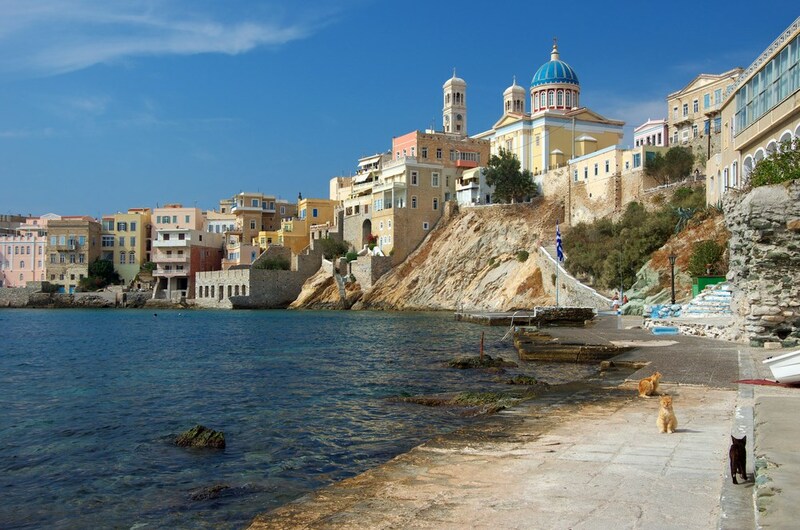 The Church of the Resurrection on the hilltop, Agios Nikolaos rich, Saint George, the Cathedral, just some of them. Every year in the city “Ermopouleia” are organized cultural events that attract many visitors. 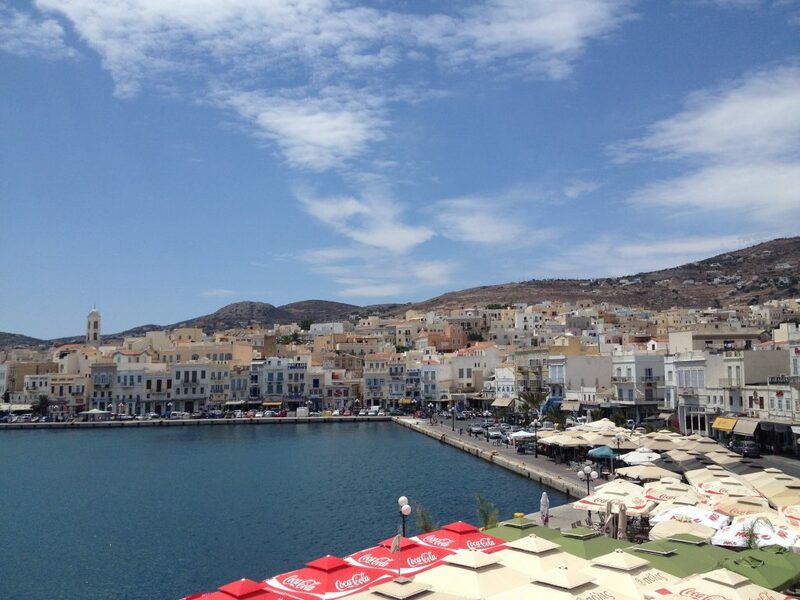 Ermoypoli was created during the Greek Revolution of 1821. 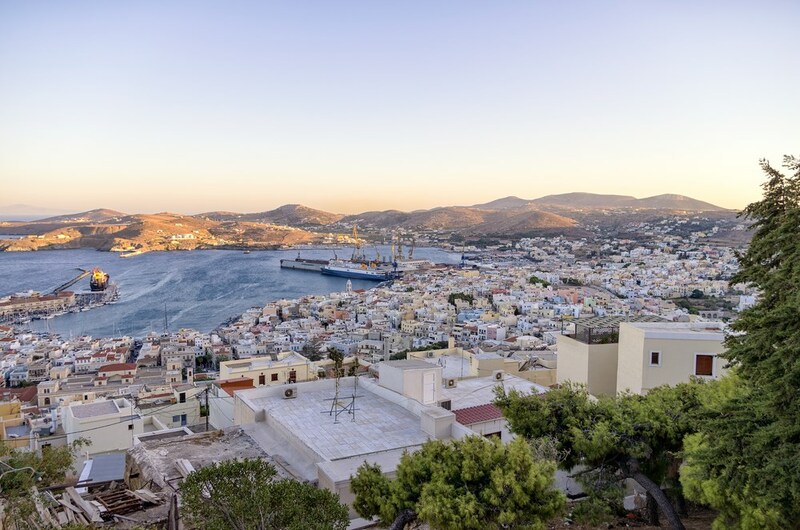 After the destruction of Chios, Samo , Psaron, Kasos and various cities of Asia Minor, the persecuted refugees found safe haven in the natural harbor of neutral and then under French protection of Syros. 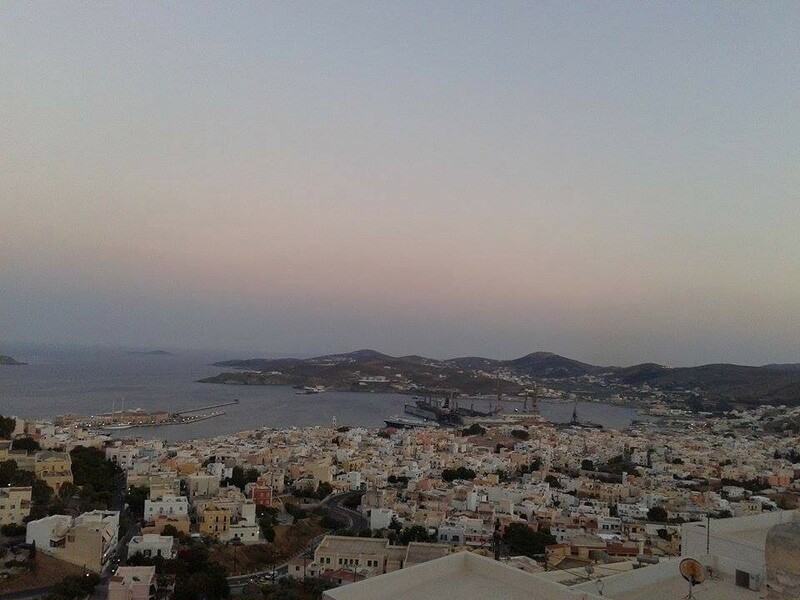 At this point there was nothing, and the main settlement was the hill of Ano Syros. The refugees then settle there, dealing with the business of the port and begin to build the new city. From their first creations is the Orthodox Church of the Transfiguration, in the courtyard of which in 1823, after a form of popular assembly was decided to name the new city: dedicated to the ancient god of commerce, Mercury and was named Ermoypoli. 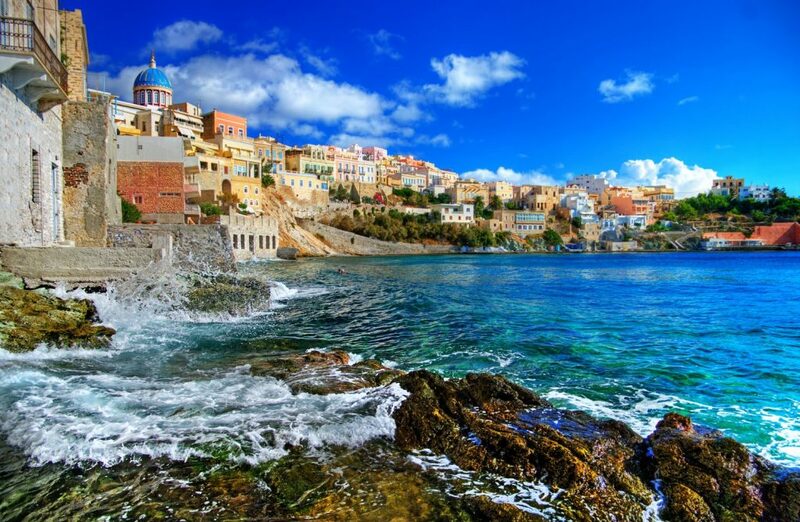 Since then the growth is continuous: the port is the commercial center of New Greek State, and were made ​​the first industries. 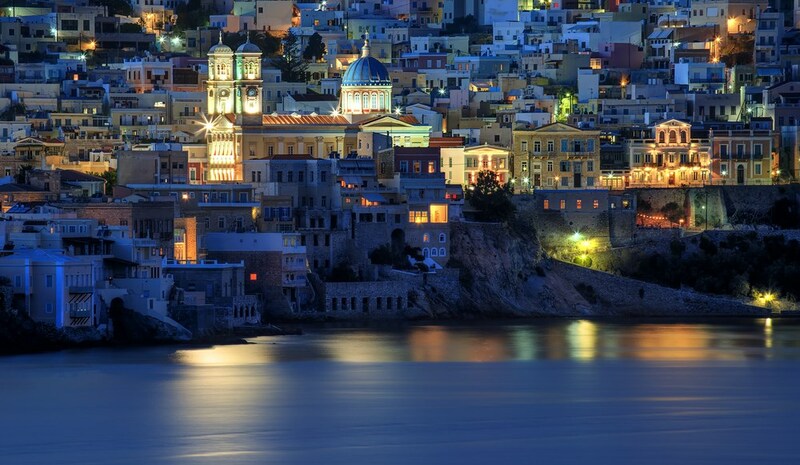 Furthermore, in Syros shipyards had been built the most beautiful ships of the era, with unstoppable rhythm. In Ermoypoli, has been inaugurated the first branch of the National Bank in the mid of 19th century. 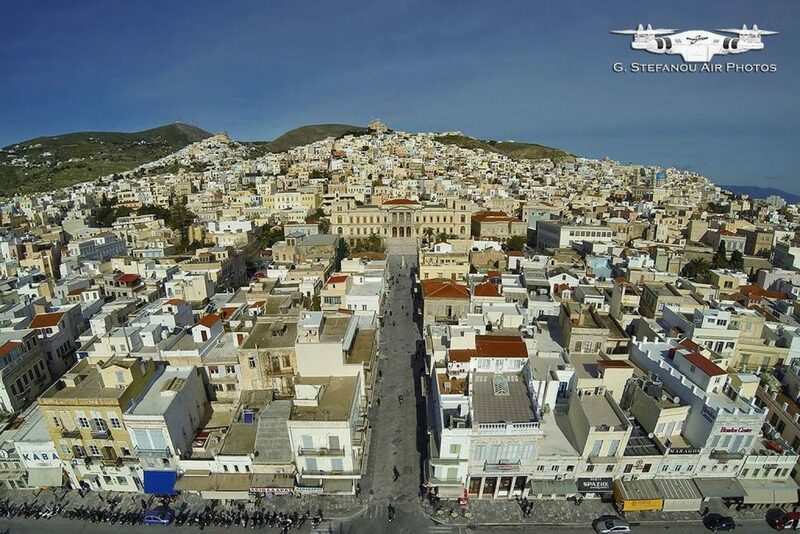 The population was multiplied and in 1856 Ermoypolis was referred as the second city after Athens in population. 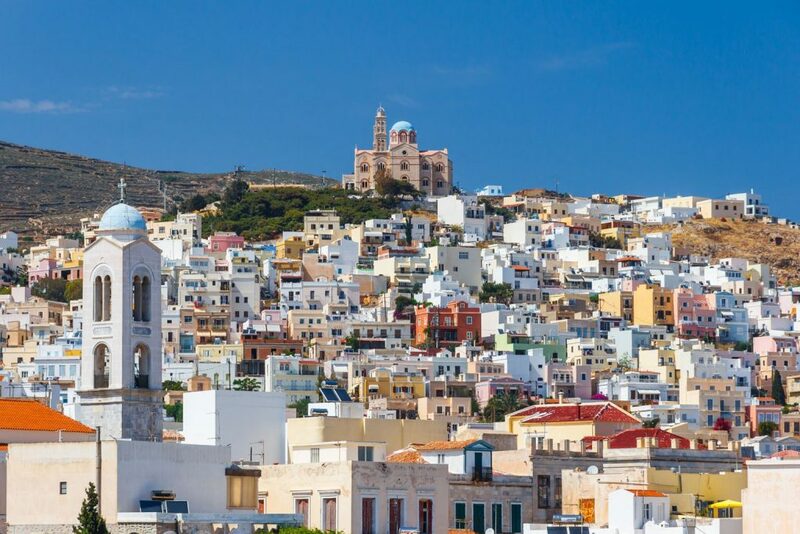 In the first high school of the city, teaches the teacher of the Nation Neophytos NKJV, and later had graduated from here Eleftherios Venizelos. 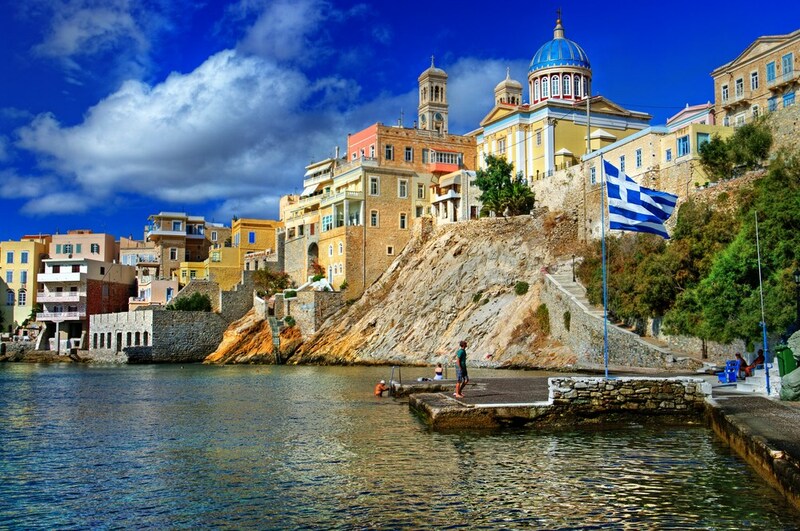 The heyday is maintained till the 20th century, as the change of economic balances with the transfer of the center in Athens but also changes Ermoypoli. The great famine of 1941-42 leaves behind thousands of dead and the city struggles to regroup after the war ended. 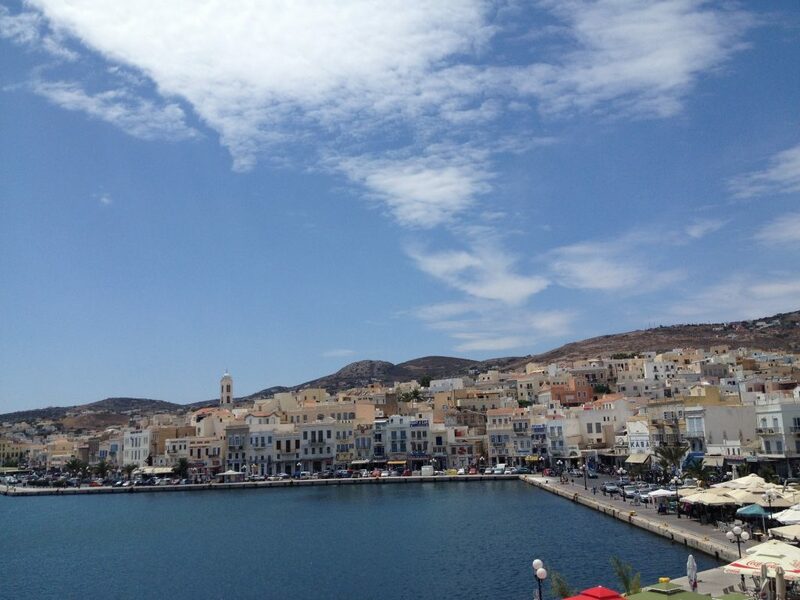 Today, Ermoypoli is a beautiful island town, with a permanent population of about 12,000 inhabitants. 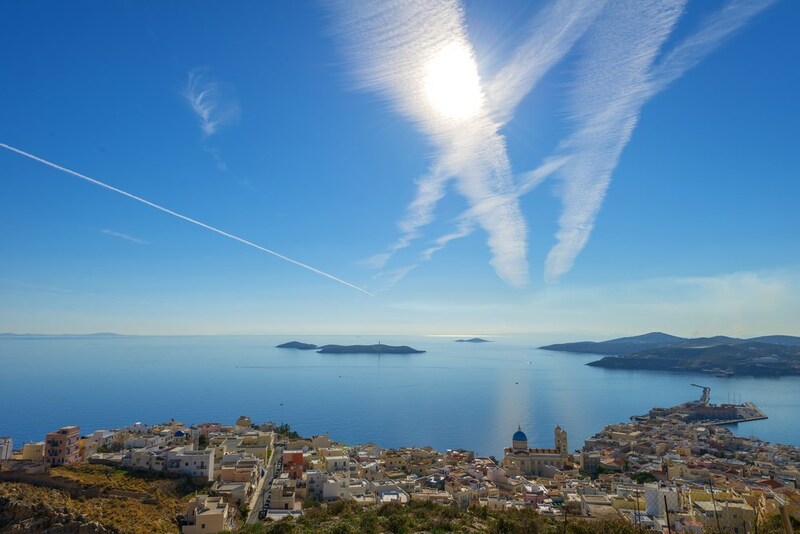 It is the administrative center of Cyclades and the capital of the South Aegean Region, which means that it gathers all the public services and the Courts. It also works here part of Design Engineering University of the Aegean and the Shipyard.